A few months ago while watching an Indonesian fuel broker cup his hands around the top of diesel container and blow into the container to get a siphon going, I came up with this nifty little siphoning device. It's made from a piece of scrap plywood and couple of hoses (in this case with outside diameters of 1/2" and 3/4"). Two holes are drilled through the wood such that the hoses fit tightly. 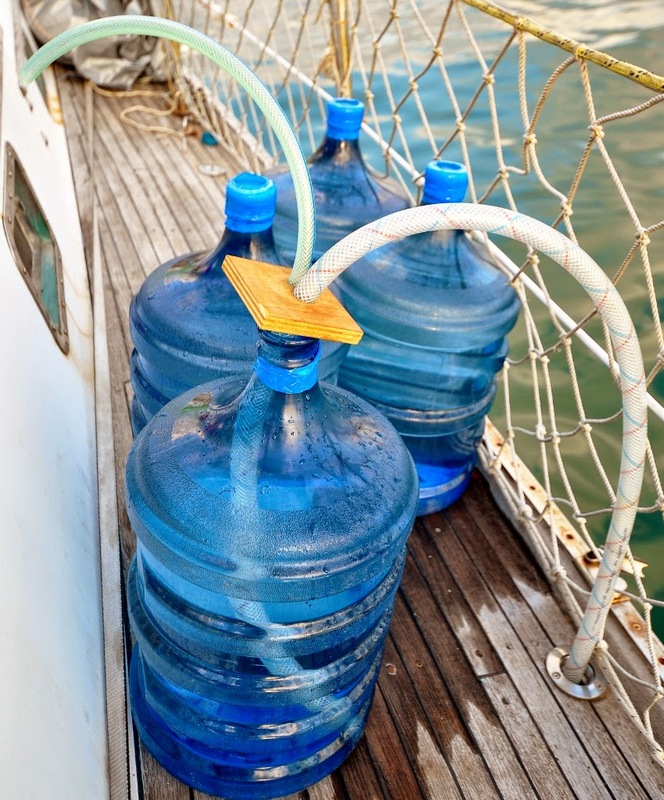 They need to be close enough together so that both hoses fit into the opening of the containing vessel. The larger hose transfers the liquid -- one end reaches to the bottom of the containing vessel and the other end reaches into the lower receiving vessel. The smaller hose reaches only slightly into the opening of the containing vessel. 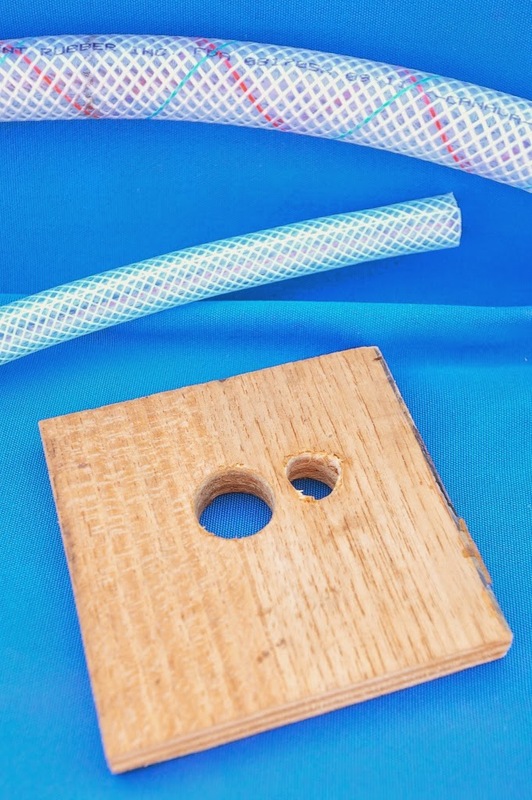 You hold the wood firmly flat against the opening of the containing vessel and blow into the smaller hose to create the pressure to get the siphon going. Of course, the device isn't completely airtight, but neither does it need to be. You don't need to blow very hard to get the siphon going and the method still works even if there are just a couple of centimeters of liquid at the bottom of the container. It's all pretty obvious and I wish I had thought of it sooner. Check out the action-packed video below!